Wachovia Bank was acquired by Wells Fargo in 2008, the two banks’ products and services have now been fully integrated, and Wells Fargo has assumed control of all Wachovia accounts. This page has been left as it was to serve as a historical reference, and you can find more information about student loans offered by Wells Fargo here. Like Citibank and other traditional banking institutions, Wachovia has expanded its services to include a well-stocked bar of educational products and services. Their Educaid site almost loses its Wachovia-bank veneer and takes on a hipper, trendier look to appeal to a college-centric audience that is a blend of students and parents searching for the college dream, accessible only with the best mix of student loans. 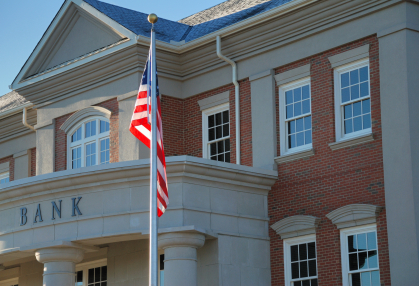 Like most other lending institutions, Wachovia is a participant in the Federal Stafford Loans and the suite of PLUS loans. Beyond these the company provides its brand of private student loan – the Wachovia Education Loan – designed with low interest rates and large margins for borrowing. This loan is credit based and is approved based on a variety of factors. Alternative student loans include a specialized suite of TERI loans each designed for continuing education students, medical students, or loans for students attending college abroad. Like any good banking institution the ability to manage your account online makes the services very convenient and flexible. This way students and parents can track loan payments and apply for services if needed. Extra services include student loan consolidation, and deferment options. In some cases graduates are not able to manage multiple student loan repayments that come due monthly. While the Federal loans offer either 6 or 9 months grace period past graduation, it is still not uncommon for college grads to run into trouble with repayment. To avoid instances of student loan default, most lending bodies make student loan consolidations a matter of regular business. Graduates can roll all student loans into one low monthly payment. Typically the refinancing extends the repayment period, but the affordability makes it worth the extension. A number of deferment or loan postponements are possible with Wachovia. Students attending college half-time are eligible for student loan deferment as long as they are enrolled. Graduates who find themselves unemployed can qualify for a deferment; and students who are working, but earn an income that falls below the poverty level can qualify for hardship deferment.